I know that technically dinner should be the lightest meal in the day, but that rarely works for me. 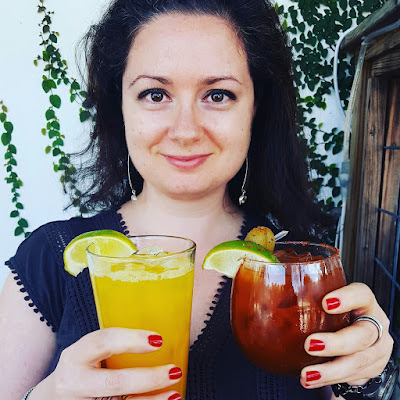 It's not that I eat a three course dinner every day, far from it, but I do enjoy having something filling after a day of work whether I'm meeting my friends for dinner or cooking for one. On some occasions, however, I do prefer a light dinner. Those occasions are typically the nights when I go salsa dancing. This past Friday I just had a simple Caprese salad (tomatoes, fresh mozzarella, basil) and a sliced avocado. 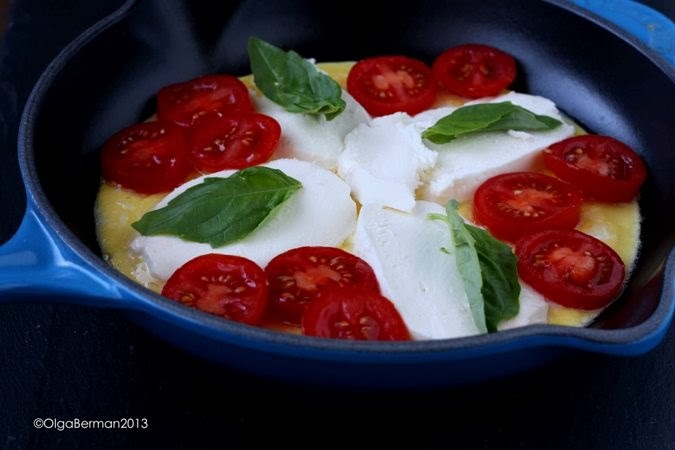 Over the weekend, I decided to take the ingredients from the Caprese salad, add eggs and make a Caprese Frittata. 2. In an oven safe pan, heat the oil. 3. Whisk the eggs with a splash of milk and season with salt and pepper. Pour into the oil and allow to cook on low heat until the eggs are almost set. 4. 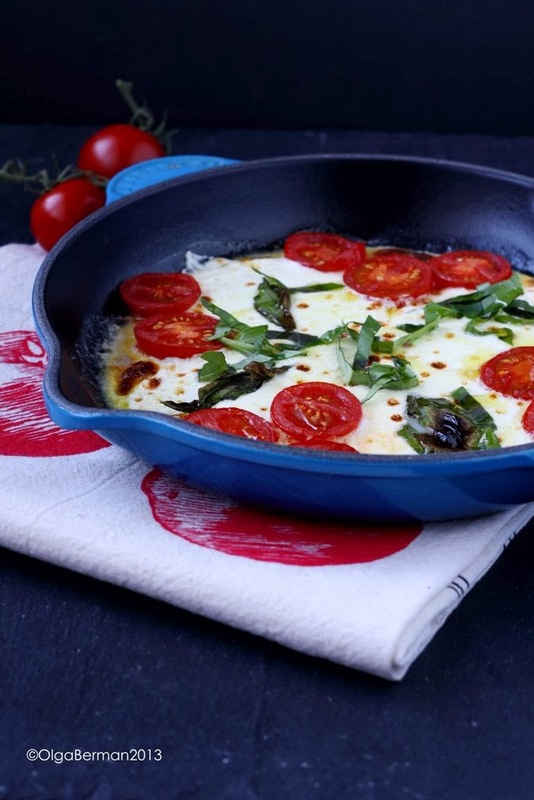 Place mozzarella and tomato slices in a pretty pattern and top with basil leaves. 5. 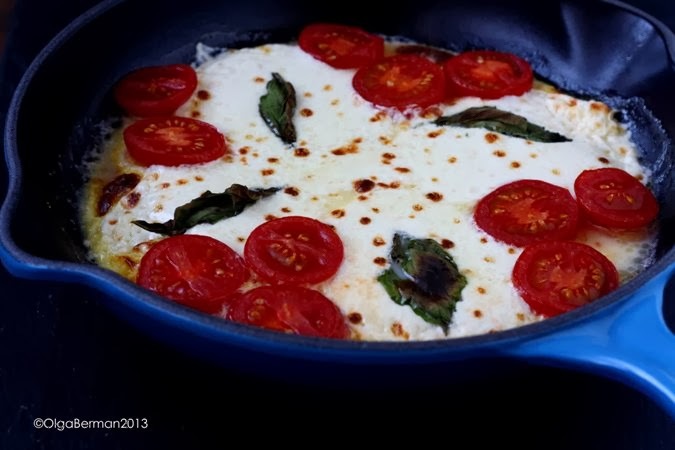 Put the skillet under the broiler until the cheese melts, about 5 minutes. Be careful your frittata doesn't burn. 6. Season with a bit more salt, top with chopped fresh basil and a drizzle of olive oil. Isn't it a beauty? I ate it directly out of a skillet. This is a great late breakfast, lunch or a light dinner. You can eat it as is or with a salad and a few slices of bread. 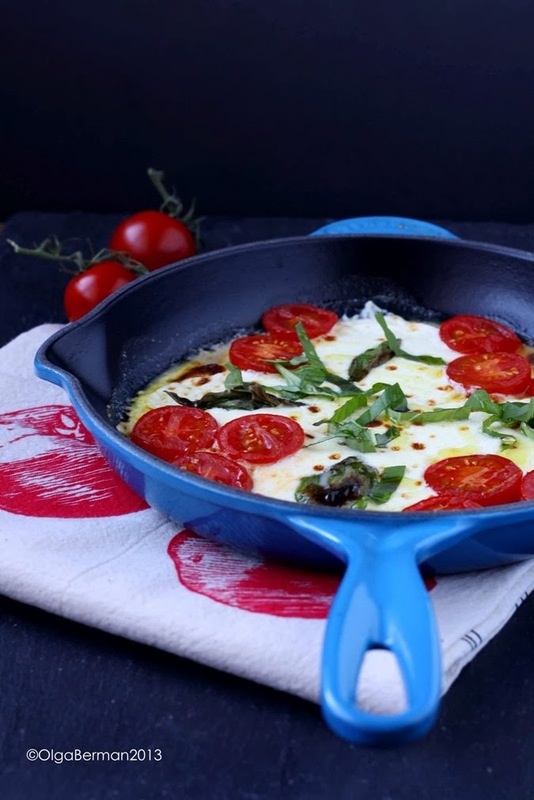 Actually I love eating eggs for dinner, so this recipe is perfect for me. 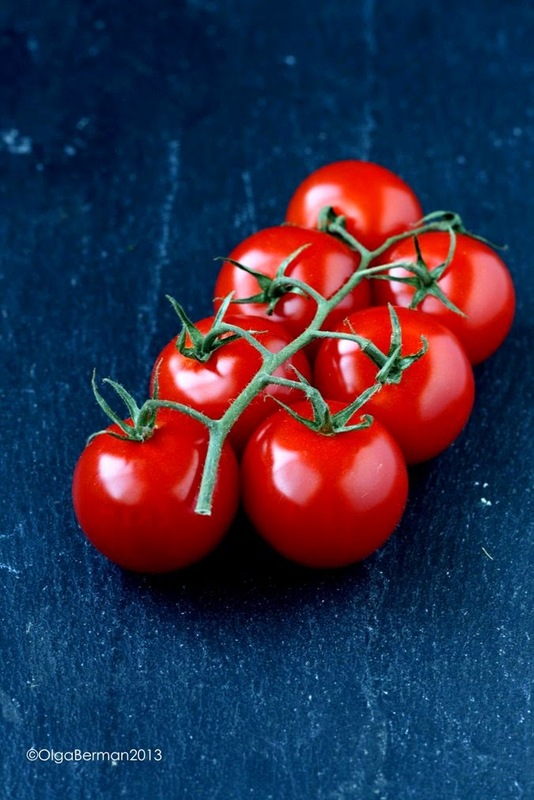 That tomato picture is stunning! And this frittata is my ideal breakfast (or breakfast for dinner). 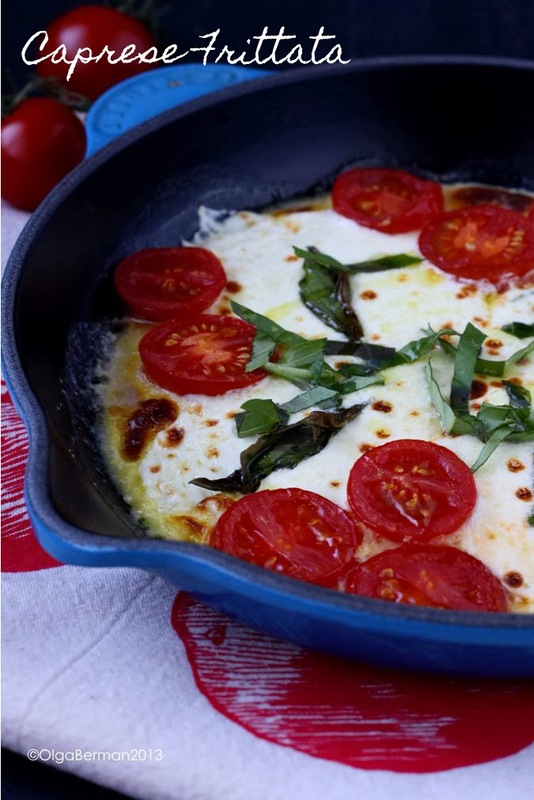 This looks great, especially with all that melty mozzarella! I like frittata of all kinds.